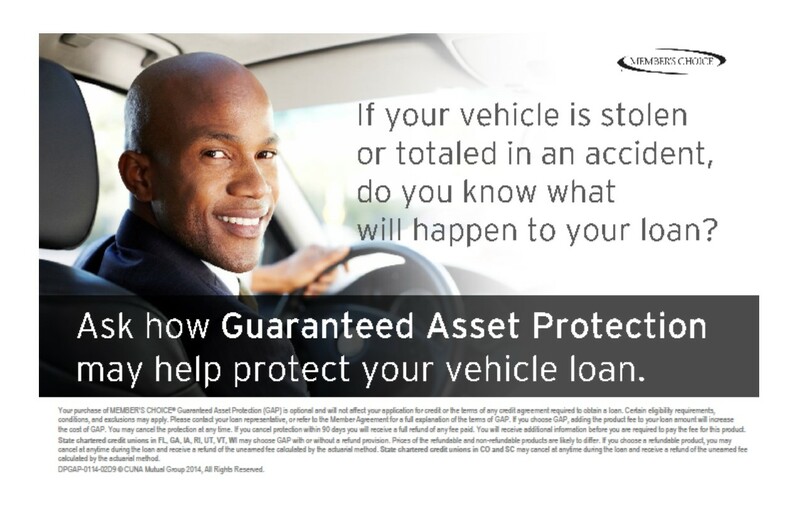 GAP (Guaranteed Asset Protection) protects you by covering the “gap” between what you owe on your auto loan and the amount your insurance will cover, in the event your vehicle is totaled in an accident or stolen. Add coverage today! Life Plus adds protection for life events such as accidental dismemberment, terminal illness, hospitalization, family medical leave, and the loss of life of a non-protected dependent. Certain eligibility requirements and exclusions may apply to these summaries. Guaranteed Asset Protection (GAP) and the Debt Protection Program are options that do not affect your application for credit or the terms of any credit agreement with ACT 1st FCU. Neither option is a contract for insurance.